Arizona Native Status: Introduced. This recently naturalized tree is native to the southern part of Africa. Habitat: Riparian. 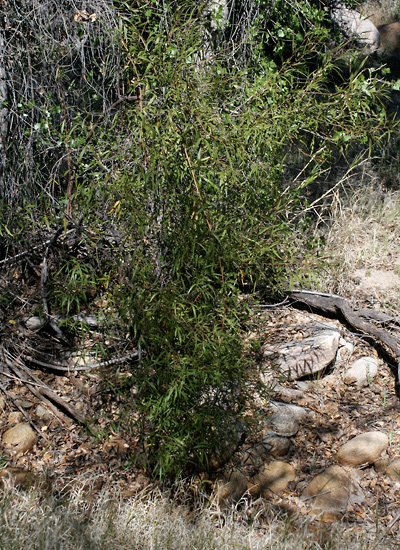 This commonly cultivated shade tree is quite invasive and can now be found growing wild in washes and along canyon streams in the deserts around Tucson. Description: The plants are dioecious. The tiny, green flowers are clustered in axillary and terminal panicles amidst the leaves. 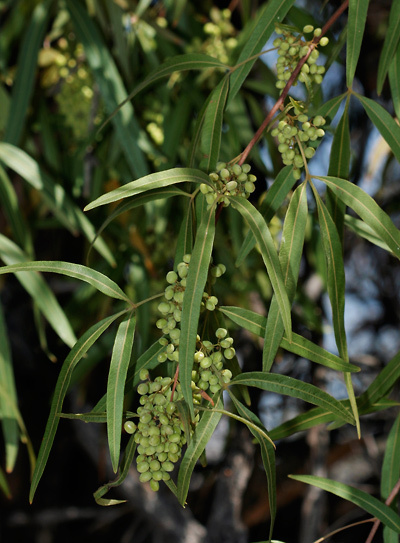 The flowers on the female plants are followed by drooping clusters of small, rounded, resinous, green maturing to yellow or reddish and then brown fruits. 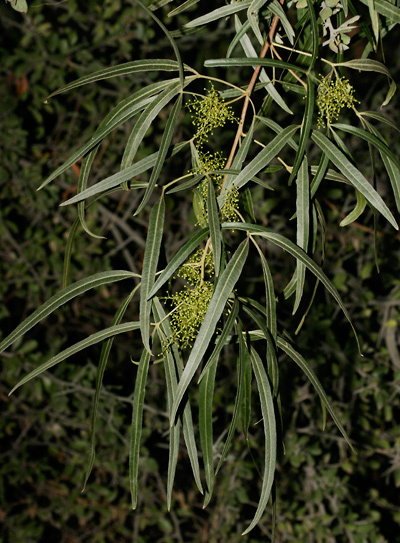 The leaves are shiny, leathery, dark green above, pale green below, hairless, alternate, and trifoliate with 3 often curved, narrowly lance-shaped to almost linear leaflets. 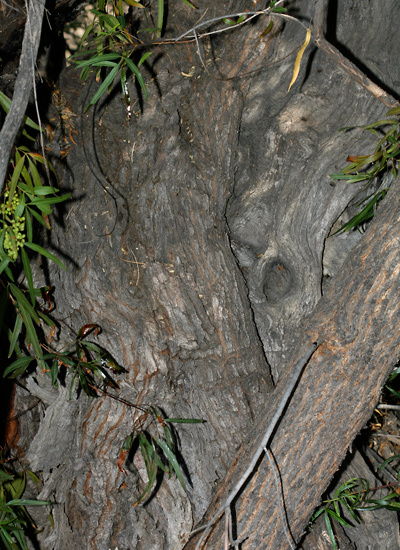 The distinctive bark on mature trees is rough and dark gray with rusty orange fissures. Younger trees have red-brown bark. The twigs are reddish. The trees have a spread equal to their height and a dense, rounded crown. Allergenic – The flower pollen is an allergen.